A goal that my husband and I set for ourselves last Christmas was to lose weight, be more active, and get fit and healthy. A goal that we worked all 2015 on and kept. We lost over 50 pounds combined and definitely are healthier. Yet, being more active has been more of a challenge, especially for me, than I had planned. 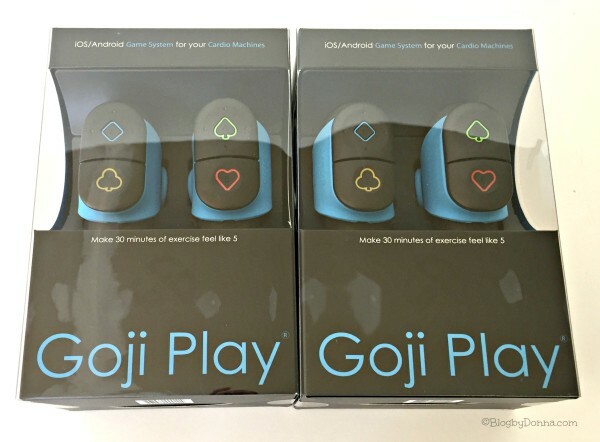 The Goji Play 2 is going to help us reach our new fitness goals in 2016. Exercising is tough for me… I’m notorious for saying, “I just don’t have the time!” or “I wish there were more hours in the day so I could fit in exercise”. I know they are just excuses. The truth is, I find exercise to be, well… boring. Serious yawn fest. Oh, sorry, just thinking about it makes me yawn. I’d rather go to the dentist than workout. Okay, maybe not THAT boring, but I can think of a thousand things I’d rather do than exercise. Which is exactly what I do. I hope to change that for the coming new year. I recently got the opportunity to try out the new Blue Goji Play 2, and I was a wee bit skeptical. They claim it can make 30 minutes of exercise feel like 5 minutes. I was, however, willing to give it a try. I also was excited with the prospect of something that would get my son exercising with us. As a middle schooler he only has P.E. twice a week and no recess and he isn’t into sports, so he isn’t as active as we would like him to be. That is all about to change with Goji Play 2! What is Goji Play 2? Goji Play will ‘Get em off the couch’ and moving. Not only will your family be moving, but having fun while they are exercising. That’s a win-win in my book! 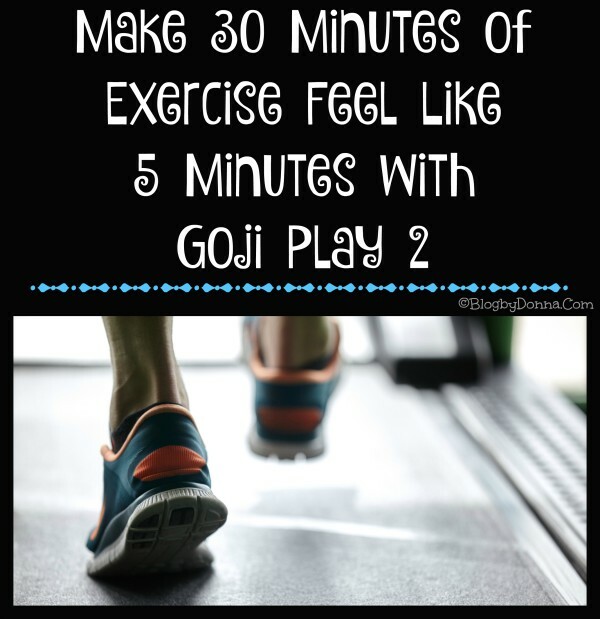 Because Goji Play is so much fun it provides a much needed distraction from the excruciatingly tedious aerobic or cardio workout. My workouts fly by now with games like Smash the Blocks (my fave), Spin or Die, and Super Moto X (both my husband and son’s favorite). In fact, I actually go longer than 30 minutes on the treadmill now. 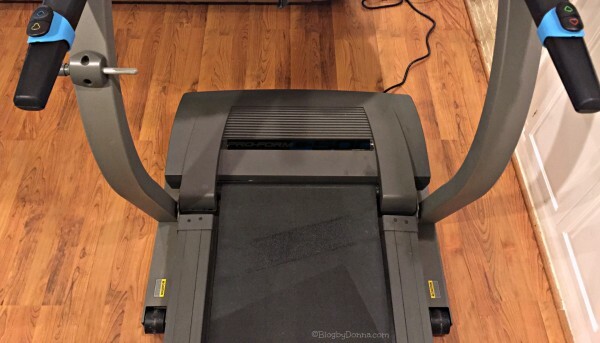 I will no longer refer to my treadmill as the “dreadmill”. How does Goji Play Work? 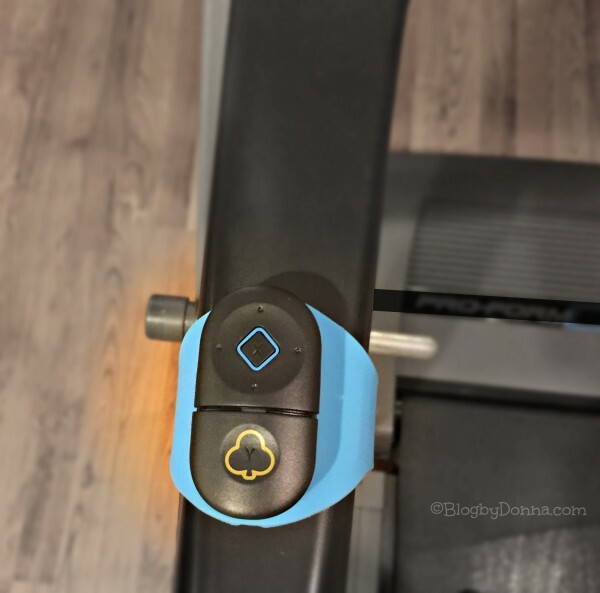 The right and left hand controllers magnetically attach to the handles of your favorite fitness machine, like a treadmill, stationary bike, or stepper, for example, or can stay on the foam rollers that are included and held in your hands. Goji Play uses a bluetooth connection and the controllers to control the games that are available through the Goji Play 2 app. 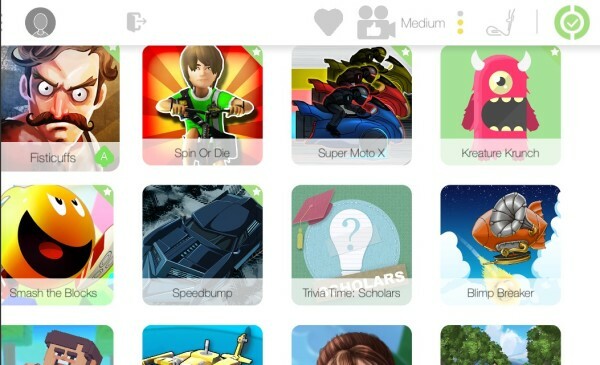 Besides Smash the Blocks, Spin or Die, and Super Moto X, there’s Fisticuffs, and Kreature Krunch, and more, with more games being added. Plenty of games to keep away the boredom of cardio. After you’re done playing, I mean working out, you can send your score to a friend or family member. Confession: My husband and I are very competitive and this is a feature that we we will take advantage of on a regular basis. We are always trying to best each other. It’s a friendly competition, but it does give an added motivator… I want to outscore my husband. And usually do (sssh, don’t tell him I told you, I wouldn’t want to make him feel too badly about losing to me). On second thought, go ahead and tell him, I work hard for my bragging rights. 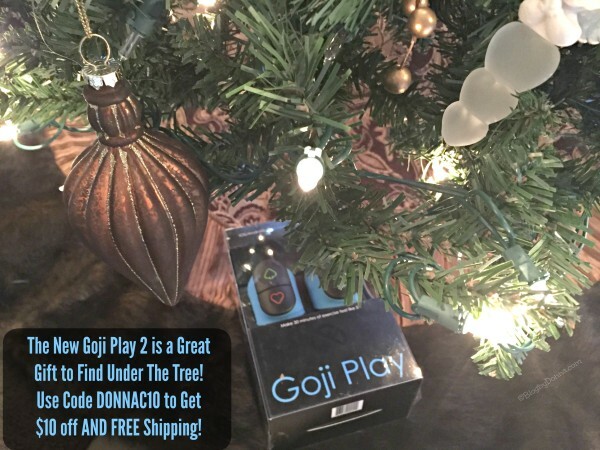 The Goji Play 2 is a fantastic gift idea for anybody on your holiday shopping list. 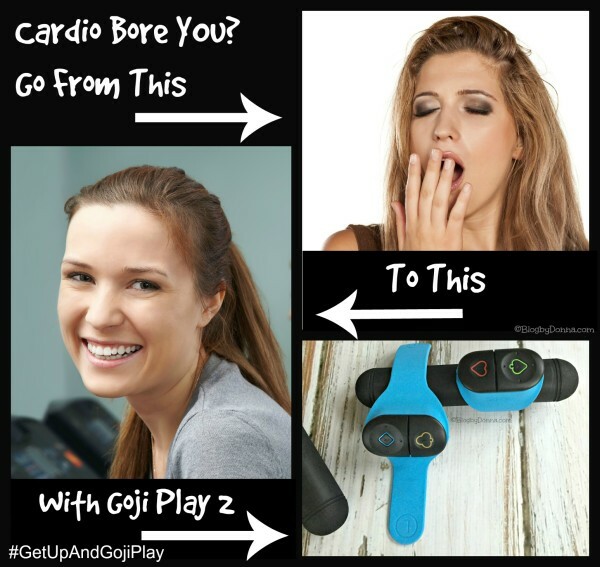 Whether they are a fitness buff or not or a gamer or not, or both, because you don’t have to be into gaming nor a fitness buff to enjoy the Goji Play 2 (recommended for ages 6 and up). The Goji Play will help give everyone a jumpstart on their fitness goals for 2016, too! I’m loving how it gets my family up off the couch and getting fit together. 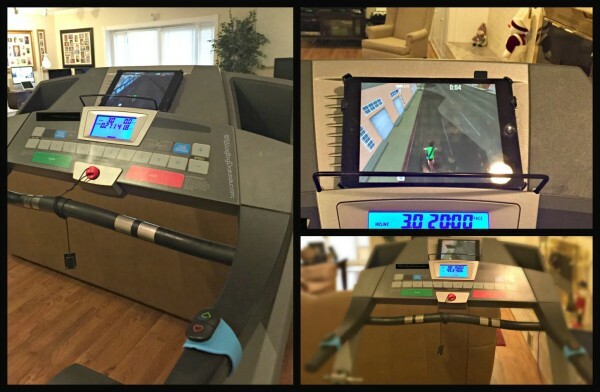 Transform your cardio machines into fun game-playing machines TODAY! My family is getting off the couch, having fun, and reaching our fitness goals. Will your family join us? I need this in the worst way! We have a treadmill, but it’s sssooo boring. I can’t wait to give this a try. This is such a wonderful idea! During the winter it can hard to stay motivated to work out especially on a treadmill. This will make those miles zip by! My hubby and I go to the gym together every day and sometimes being on the equipment can be boring! I’d love to try this! It sounds exactly like what we need! If I had this I might actually use the treadmill. I am a gamer so this is right up my alley. This is such a cool way to entertain yourself while running. I really like how simple the controls are! I love exercising but tend to find stationary machines boring. I typically use that time to listen to my favorite songs and catch up on sports news, but this sounds much more fun! I’m pretty competitive too, so I love the ability to challenge your friends and family. The whole thing sounds like a great motivator to exercise. I could see how this would make working out a lot more fun! It’s a great concept for sure! Congratulations on your achievement. This looks like an answer to a lot of my problems (or maybe I just need a fitness routine for lazy people)! this is interesting. looking forward more of it! Where has this been all my life? I get bored on the treadmill after just a few minutes. This would be a huge help. I love this–I also get bored on the treadmill! This looks like a great way to make exercising fun. I will have to pick one up to try. This is amazing! I am always on the lookout for ways to keep exercising interesting since I get bored easily. This looks like it will keep my attention for awhile. The boyfriend would definitely love this cool gadget! Excellent idea for the holiday gift! I just read about this. I really need it. I get so bored! This sure would make the time go much faster. This would be great for an exercise bike also. Thank you for the review! That would be cool when I’m in gym, I wanna try it. Great idea! It does look like a lot of fun. i’ve never heard of this product, but it does look fun! This sounds cool! Interesting! Thanks for the review! After reading your blog it’s not hard to believe that workout can be a fun.Thanks so much. This is actually very much interesting.